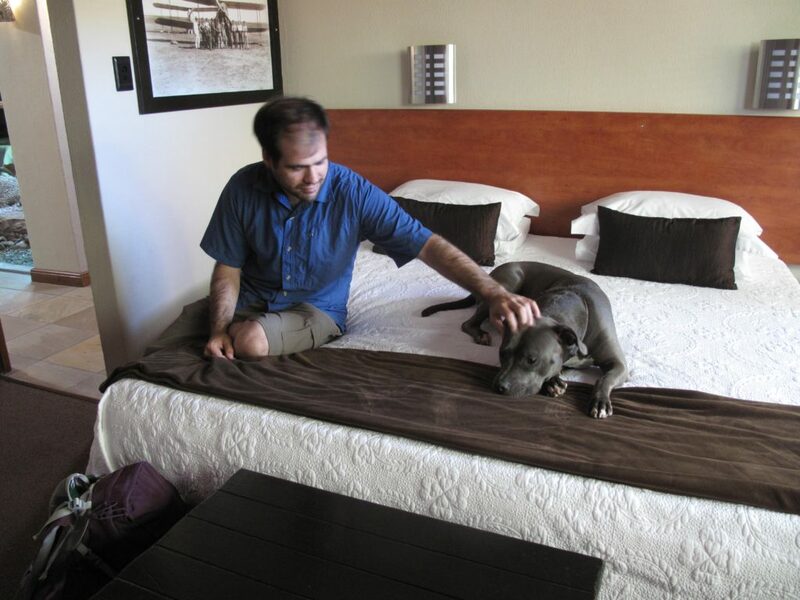 During our trip, we met many interesting people that became fast friends. 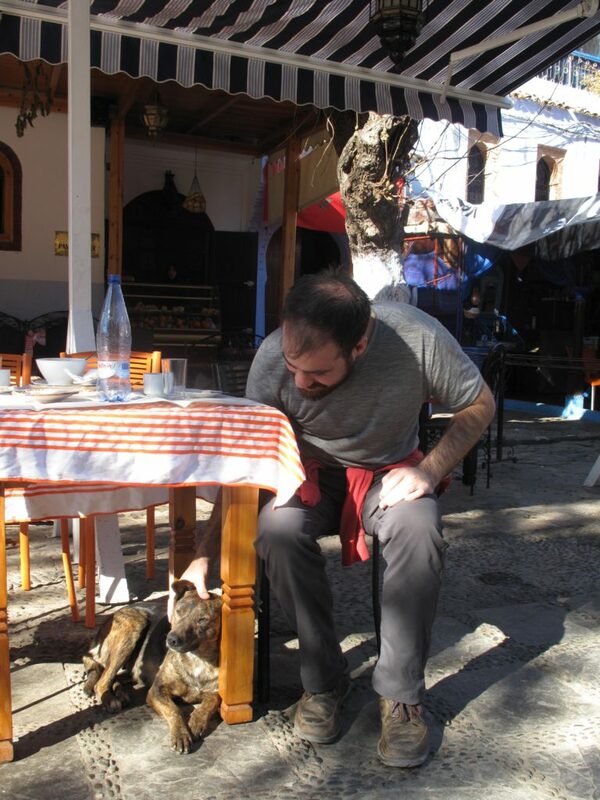 But we also encountered lots of friends of the four-legged kind. Here’s a little trip down memory lane with some of the animals we met. 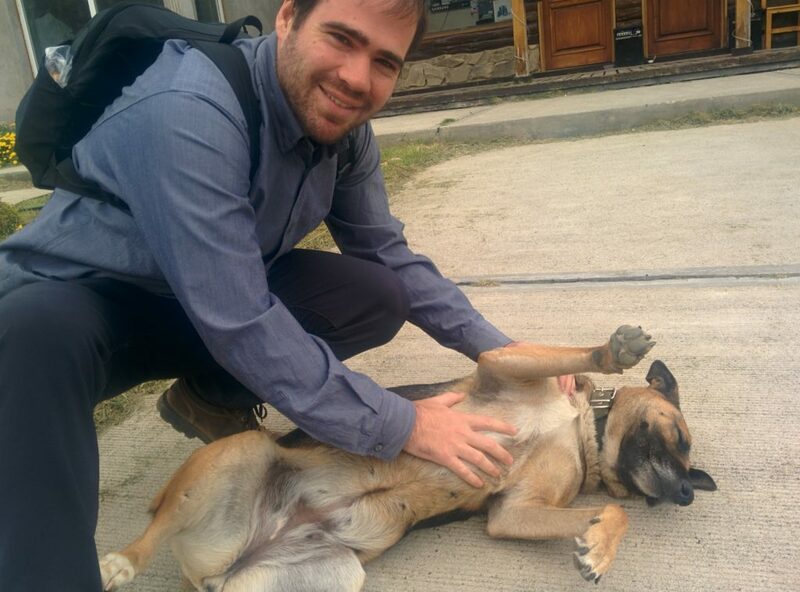 We kept seeing this dog in Chalten, Argentina, all over town. She loved to get her belly rubbed as you can see. 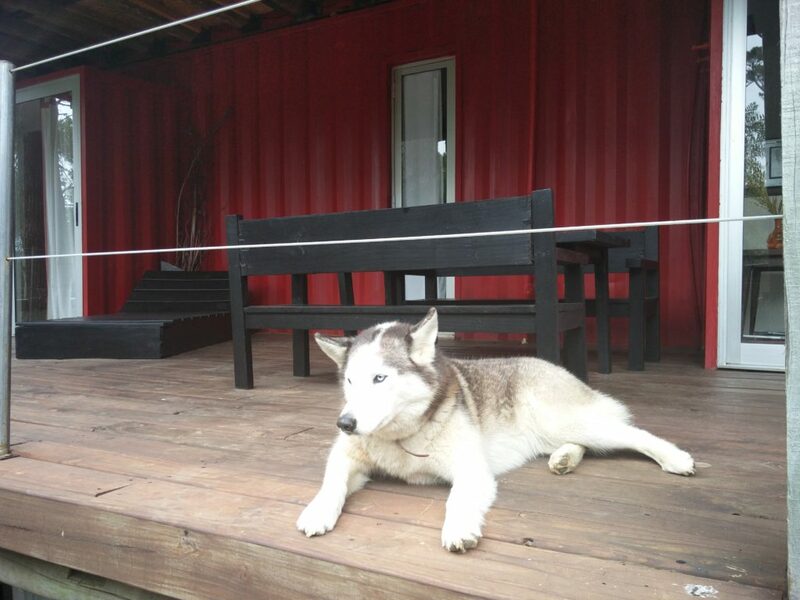 One of Sarah’s favorite dogs, in Jose Ignacio, Uruguay. Jason is willing to carry a purse! If it’s filled with these cute little munchkins in Lisbon, Portugal. 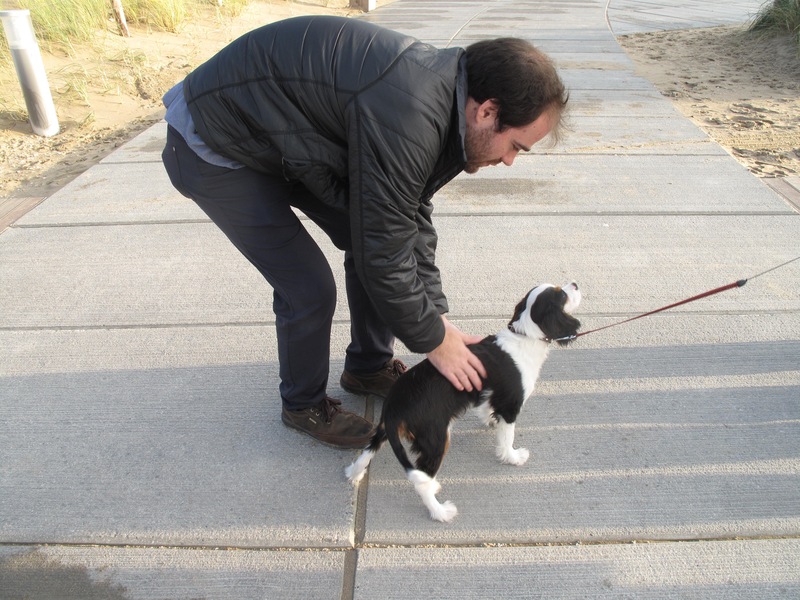 We met this adorable little pup on the beach in Katwijk in the Netherlands. While Morocco was largely a cat-country, we did meet our share of dogs there, like these dogs in Chefchaouen. 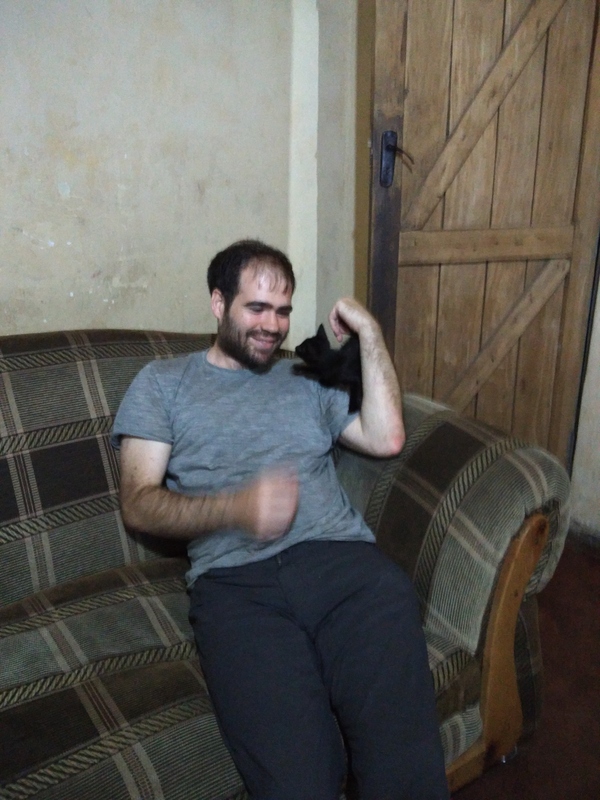 Jason even met some cats he liked, like this rascal in Salima, Malawi. 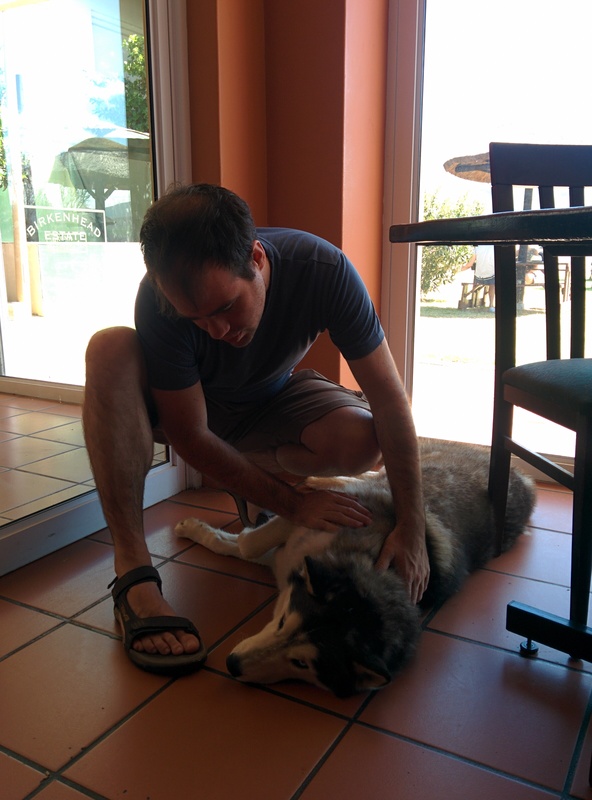 Blue, a dog we met at a winery in Stanford, South Africa, was one of the most mellow we encountered. 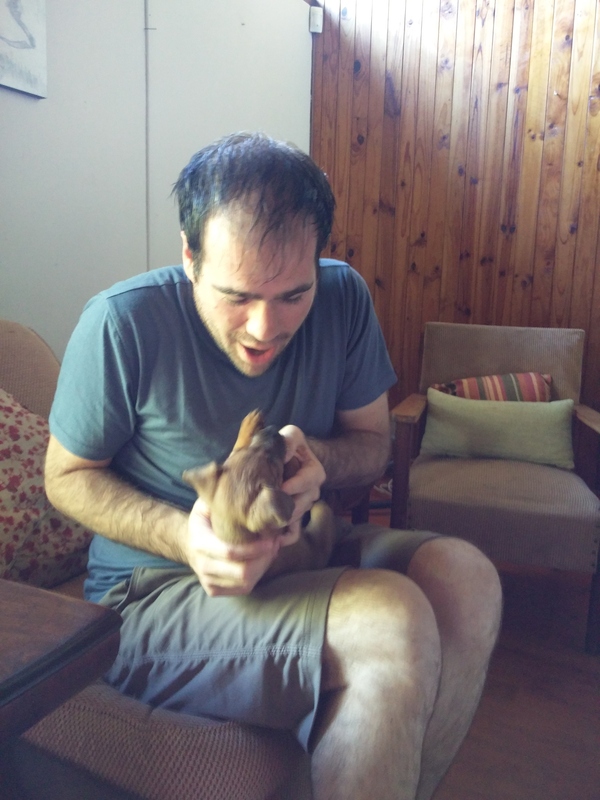 This puppy Chewie in Nature’s Valley, South Africa, was a little more spirited. It didn’t help that Jason did his best to rile him up. In Port Elizabeth, South Africa, we were perplexed by this dog who seemed to want to hang out all day but wouldn’t let us get very close. 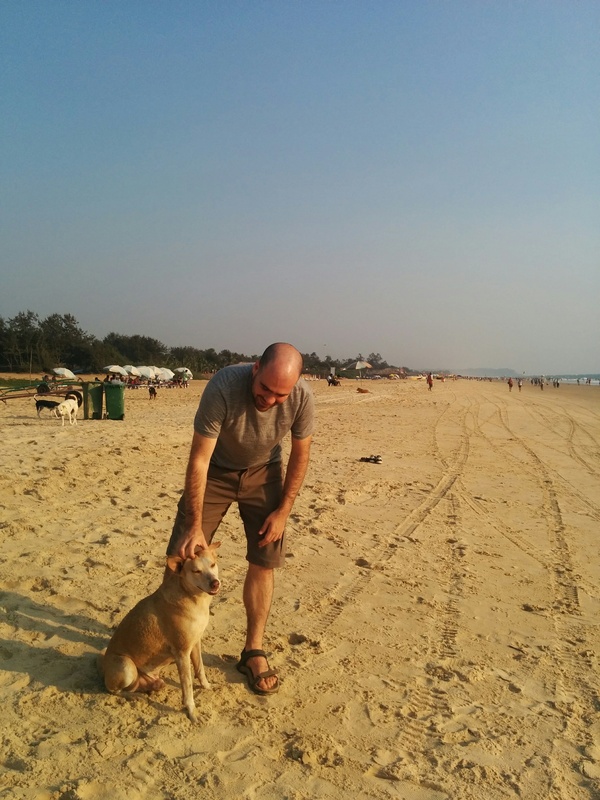 In Goa, at our favorite restaurant, we spent many hours hanging out with the sweet resident dog (also named Blue). As well as the many beach dogs. In northern India, in Udaipur, we played with the biggest dog of the trip, a sweet Saint Bernard named Julie. 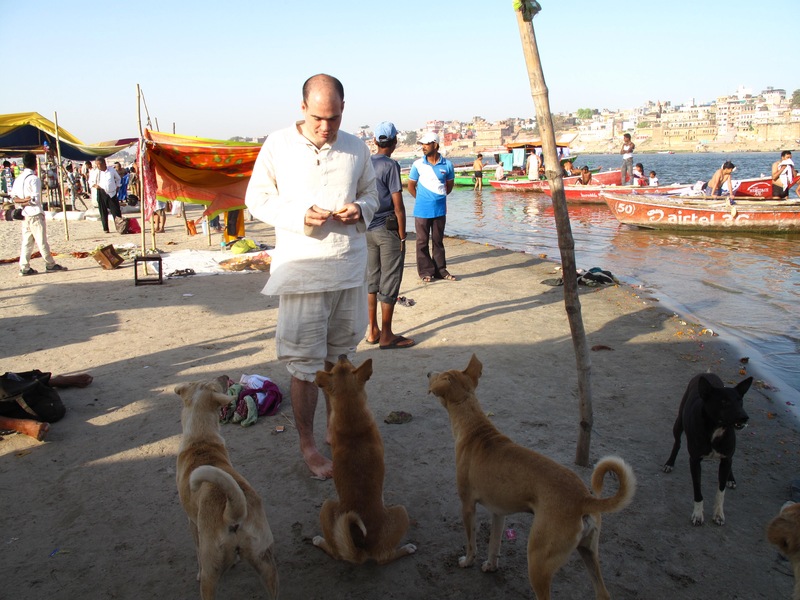 In ancient Varanasi, we met so many curly-tailed dogs who loved spicy food. 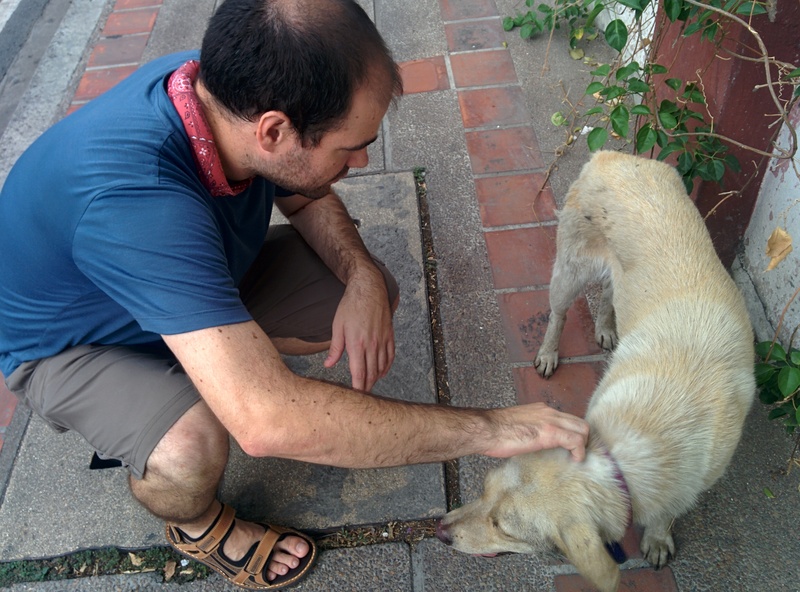 Here is our Chiang Mai dog friend again (the one who wouldn’t eat the McDonald’s we bought him). 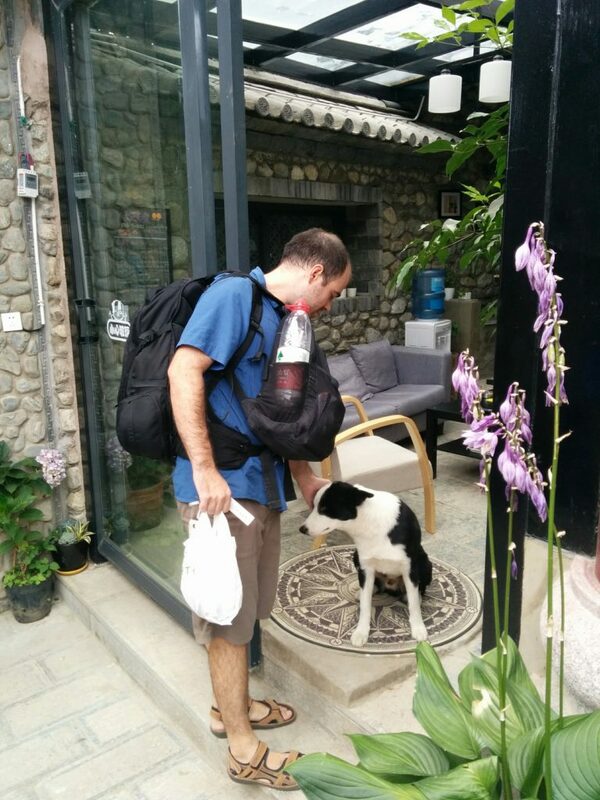 And perhaps our favorite pup of our travels, the super smart and amiable Lǜsè in Dali, China. 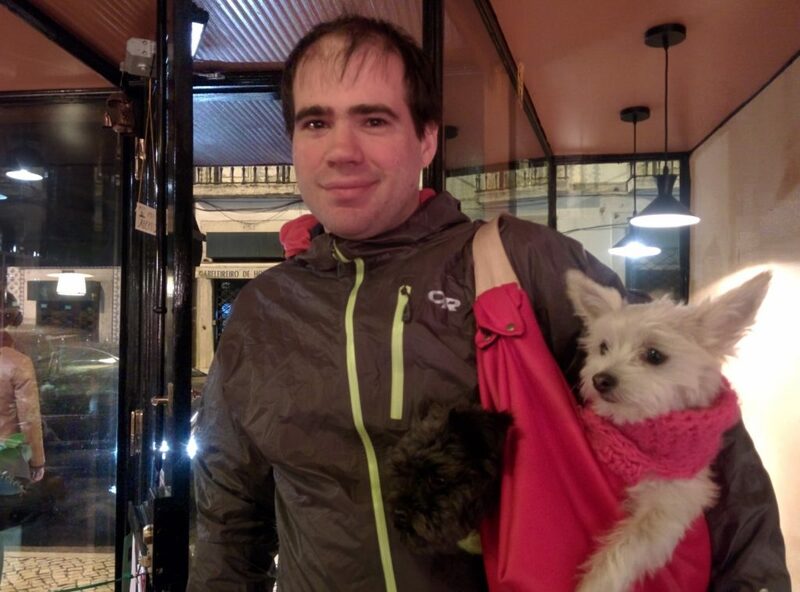 It was interesting to see that while dogs abroad were mostly similar to dogs in the States, there were discernible regional differences in both dog and owner behavior. 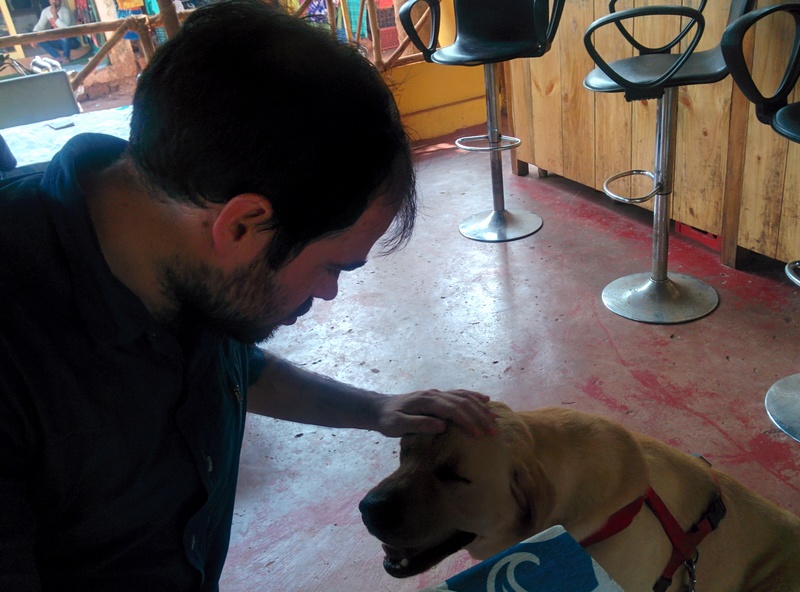 Dogs in Cusco were more independent than any dogs we’ve ever met – most were strays who acted like friendly pets but just did their own thing. Dogs in South Africa were often much less friendly to strangers since many people use them foremost for protection. Poodles were extremely popular in China, while Japan was filled with akitas and terriers were the most common dog in Borneo. We’re still figuring out what our next adventure will be, but we’ll update the blog as soon as we know!